U.S Sen. Sherrod Brown, left, and U.S. Rep. Jim Renacci, right. Watch the live debate between the candidates for one of Ohio’s U.S. Senate seats, Sherrod Brown, a Democrat, and Jim Renacci, a Republican. 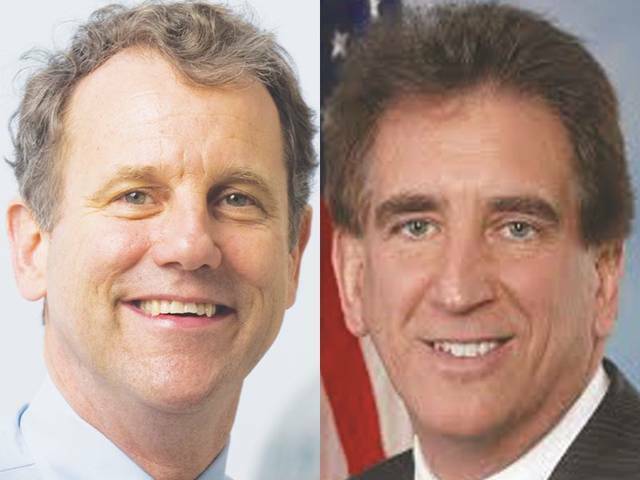 https://www.limaohio.com/wp-content/uploads/sites/54/2018/10/web1_Combined-2.jpgU.S Sen. Sherrod Brown, left, and U.S. Rep. Jim Renacci, right. Video Caption: Watch the debate live.